If someone was to write the ideal fairytale ending to this year’s Badminton Horse Trials, it would be a carbon copy of the historic scenes which we saw unfolding before our eyes this afternoon. 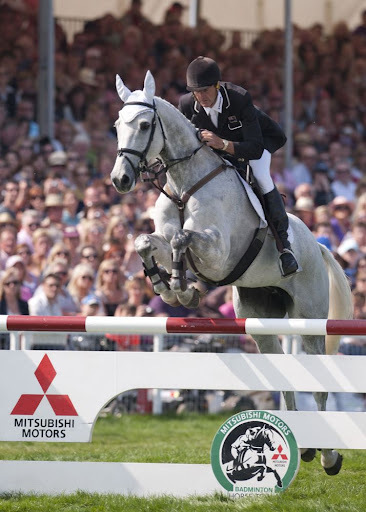 My tip at the start of the week was that a man on a grey horse would win, but I was leaving my options open with Oliver Townend and Ashdale Cruisemaster, Andrew Nicholson and Avebury, and eventual champions Mark Todd and NZB Land Vision all falling into that category. Oliver was the hard luck story while Mark was the tear jerker, regaining his crown some thirty-one years after capturing the first of his four Badminton titles. Andrew, who groomed for Mark all those years ago in 1980, summed up the competition. He showed that brilliance wasn’t enough to win the World’s Greatest event this year. Despite performing two dressage tests in the forties, steering both horses clear and inside the time cross country, a rail lowered on the final day meant that he was only rewarded with 10th place on the aforementioned Avebury, and 12th onboard WEG bronze medallist Nereo who had two uncharacteristic rails in this afternoon’s show jumping. Any horse and rider in that top ten this year performed exceptionally. How fitting that the most talented man to ever sit on an event horse topped the pile. 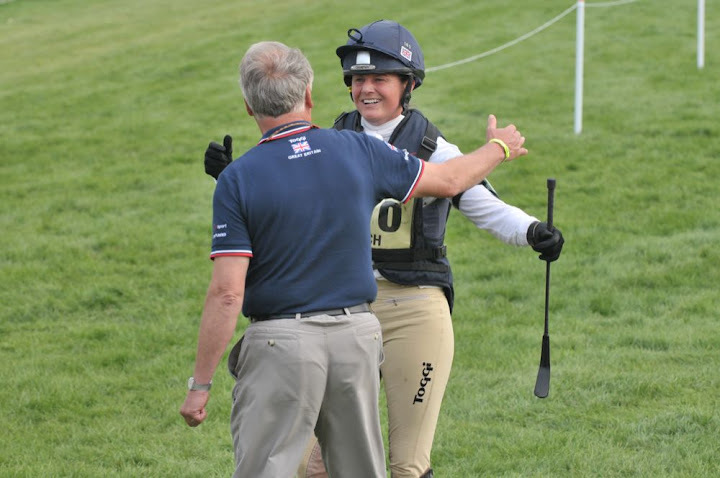 Piggy French was the bridesmaid, as she was in 2009 at the European Championships in Fontainebleau riding Some Day Soon. She showed her class throughout the week and a major title is inevitably around the corner. She always looks at ease in the show jumping arena, it’s like watching Andrew in the cross country or Ruth Edge in the dressage, they all just deliver time after time. Piggy lay in fifth place overnight and I blogged that she had probably left herself too much to do. 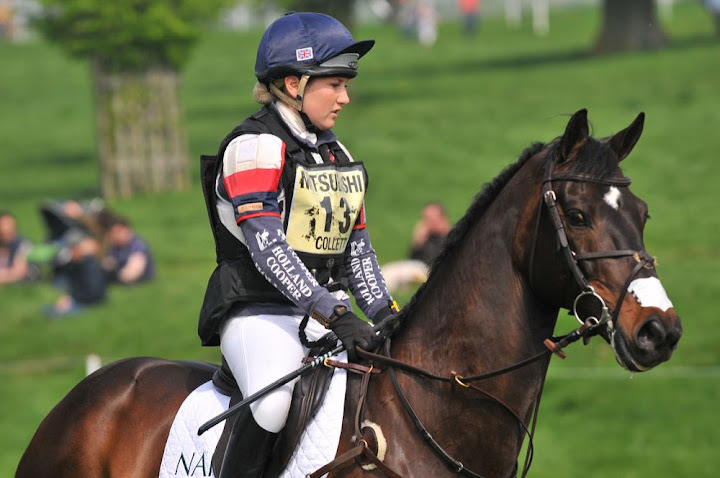 Having been in second position after dressage, it was the cross country time penalties which spoiled her chances of a first Badminton victory. She conveyed her own disappointment and regret for perhaps going a touch slower than necessary but it was a tactical decision, brought on by her meagre form onboard Jakata coming into this competition. Perhaps if she had gone faster she wouldn’t have made it round the course, who are we to judge! Riders came here with all sorts of different goals, hopes and expectations. Those who came here to win will be reflecting positively if they made the top ten. There can only be one winner, this year it’s a very worthy one, and the prizemoney down the leaderboard is good compensation. £8,000 for 10th place is not to be sniffed at! There will be some extremely happy debutants, both in terms of riders and promising young horses. Laura Collett has arrived at four star level in no uncertain terms, what a week for her. I’ve already mentioned how promising Lucinda Fredericks’ Prada has looked all week and I was also impressed with Harry Meade’s Wild Lone and Joesph Murphy’s Electric Cruise. I expect to see the latter combination vying for Irish team selection later on this year and, with a bit of luck, playing a major role in our nation’s hunt for Olympic qualification. There were the inevitable disappointments too, with only four of the dressage top ten remaining at the business end of the leaderboard when all was said and done. The worst thing about eventing is that it takes such a long time to get back out there and prove yourself once again. All four of the dressage leaders that came to grief did so late on in the course and their horses will need to rest and recover before heading back out onto the competition circuit. Some will now be targeting Burghley, but that is many months away. If we were show jumpers, we would already be on the road to another World Class Grand Prix next weekend. It will be a long and painful reflection for the casualties of Badminton 2011. It has been painful to be on the sidelines this week but I have enjoyed bringing Badminton to your screens from a different perspective. Hopefully you will see Sam Watson having a genuine shot at the Badminton title next year, but until then, I hope you enjoyed yourselves and see you again soon. Badminton 2011 - There's An App For That!